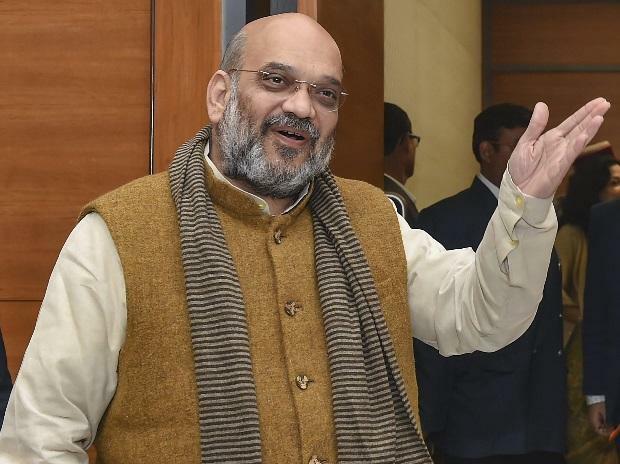 BJP president Amit Shah on Sunday sounded the election bugle and said the party would ensure that every illegal immigrant from Kashmir to Kanyakumari is thrown out of the country, following the Assam model. Addressing a 'Vijay Sankalp Sammelan', the BJP chief spoke about various issues, including the resolve of the Modi government to fight militancy saying "the BJP government has zero-tolerance on terrorism". He also talked about discrimination of Ladakh and Jammu divisions by the previous regimes and said "chowkidar", in an apparent reference to Prime Minister Narendra Modi, ensured that funds meant for these regions are spent for development. "Previous dynastic governments of Congress, the National Conference and the PDP were more bothered about their own development but ever since the BJP took over, we ensured that every single penny reaches common people," Shah said. Asserting that the place where Bharatiya Jana Sangh leader Syama Prasad Mookerjee sacrificed his life, it "belongs to us", Shah referred to the February 14 Pulwama terror attack, in which 40 CRPF personnel were killed, and said "their sacrifice will not go in vain". "The Prime Minister has authorised security forces to take any punitive action they think fit against perpetrators of terrorism," he said.